This is one book, I admit, but it has all three books in the trilogy within it. I'm going to count this as three books, ok? Let's get the obvious out of the way: This book is huge. 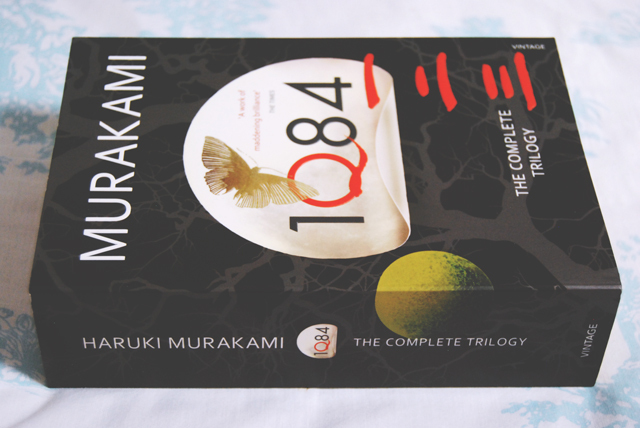 1318 pages. It tells the story of Tengo and Aomame: Two people who are living different lives, entwined by a deep connection. They both find that they have unwillingly entered a different world, one with two moons where shadows live as real beings, little people emerge from nowhere to make chrysalises out of the air and enemies are unrelentlessly hunted down. As always with Murakami, the story is written beautifully, although admittedly a lot of that might be down to the translators. The tale is told in alternate chapters- Aomame's story first and then Tengo's- as they slowly unwind and entangle within each others'. Despite the length, the story was engaging throughout, until it reached the third book. With Aomame in hiding, she doesn't actually leave the flat and it seems a bit pointless to continue alternately giving her entire chapters. Having said that, I did love uncovering the links between the two stories and there are lots of moments when something obvious suddenly dawns on you. Not only that, but there are a couple of mysteries left unsolved. I like this as it allows me to continue speculating and come up with my own theories. 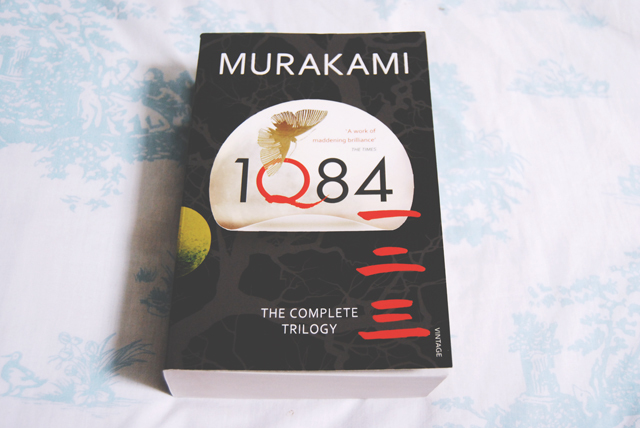 Although I enjoyed the book, I don't think I'd recommend it to anyone who has not read Murakami before. It's got very mixed reviews and it's definitely a big commitment. 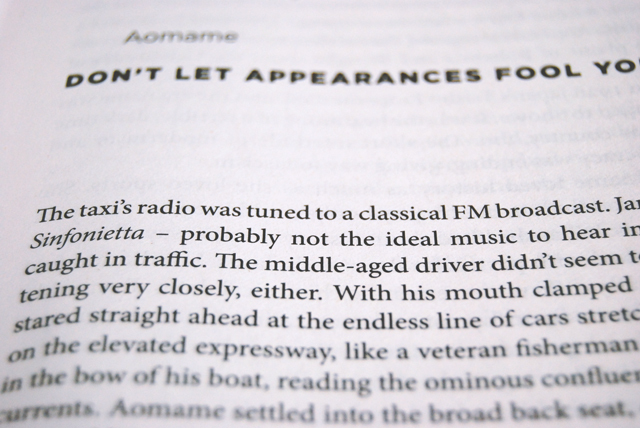 If you're a Murakami fan though, I'm sure you'll enjoy it. I have this on my shelf to read, I have however never read anything by the author before so I'm a little dubious. I'd like to read Norwegian Wood too. Norwegian Wood is a good place to start! I read this book a while ago, as I was reading your review I was trying to remember it. It was such a long book, I remember there being very slow sections. Although the thing I found was that it was interesting but I just wasnt sure exactly if there was going to be a big reveal, I think it sort of ended in a bit of a splutter for me. But it was definitely interesting. Haha that sounds like a good plan! I agree with you Becky - I'm a huge Murakami fan and I wouldn't recommend this to someone who hasn't read his work before. There was a lot of hype surrounding this book, and I don't think it's one of his best. To me it seemed not up to his usual level - I wonder if he was just rushed to meet a deadline and the story was left a little unpolished as a result? But as a fan, yes it is still worth reading. I'm looking forward to the English translation of his current book, Colourless Tsukuru Tazaki and His Years of Pilgrimage - 2014! That's interesting- Perhaps he was rushed. I'm really looking forward to the English release! Definitely do! I recommend Norwegian Wood as a good place to start! I do recommend it, just be aware that it gets a bit slow towards the end.